Our team recently completed this project. The valances are custom flat Roman valances in a blue and white linen cotton blend. 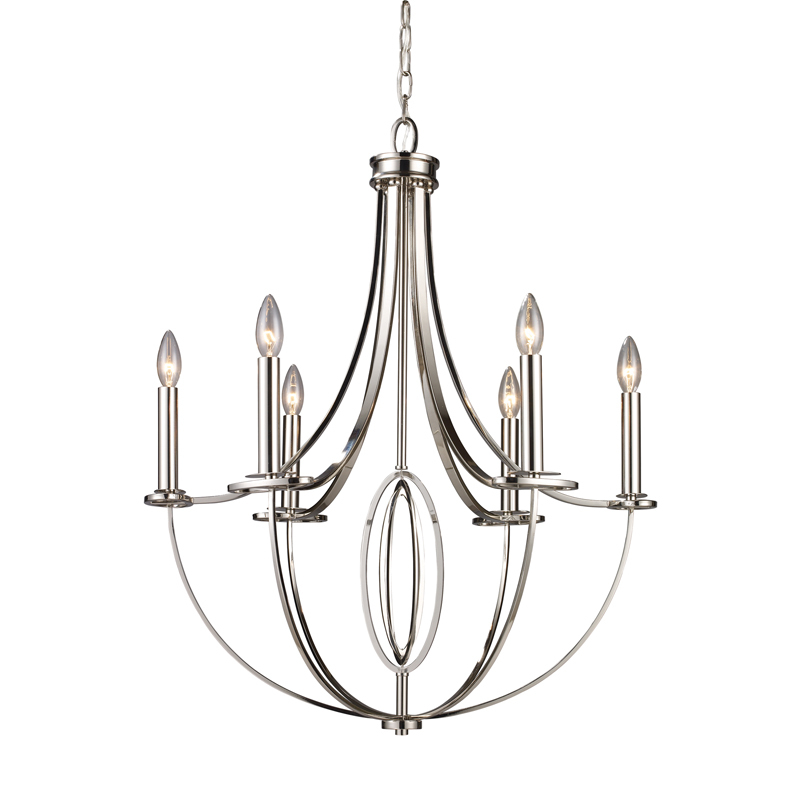 The beautiful Diann light fixture is a six bulb polished nickel chandelier. 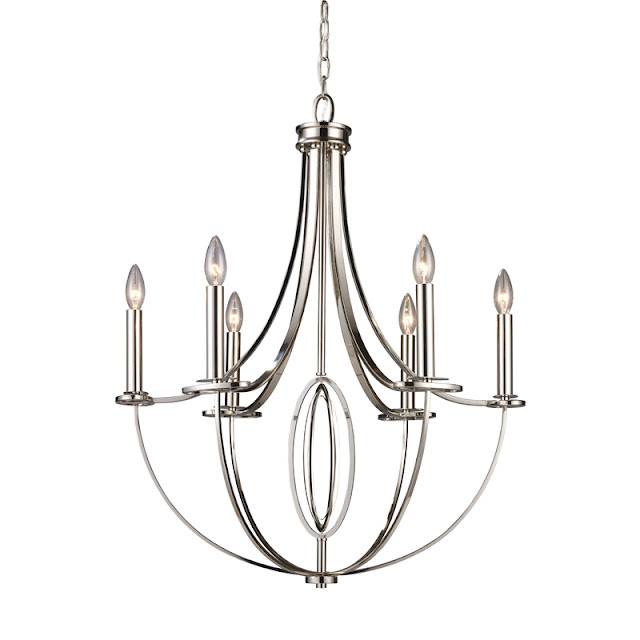 It's slim transitional elegance suites the foyer well. We ordered additional chain to accommodate the two-story foyer. Email me if you want to order this or other light fixtures. 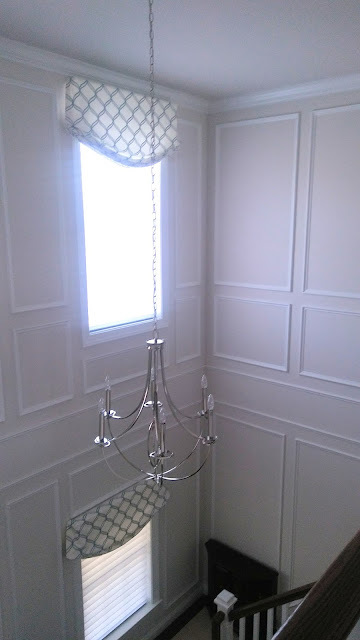 The lighting and fabric used in the valances complemented each other very well. Great Job Fay!